Greater Philadelphia, the second largest metropolitan area on the east coast, stretches across four states and contains an impressive 6 million people total. 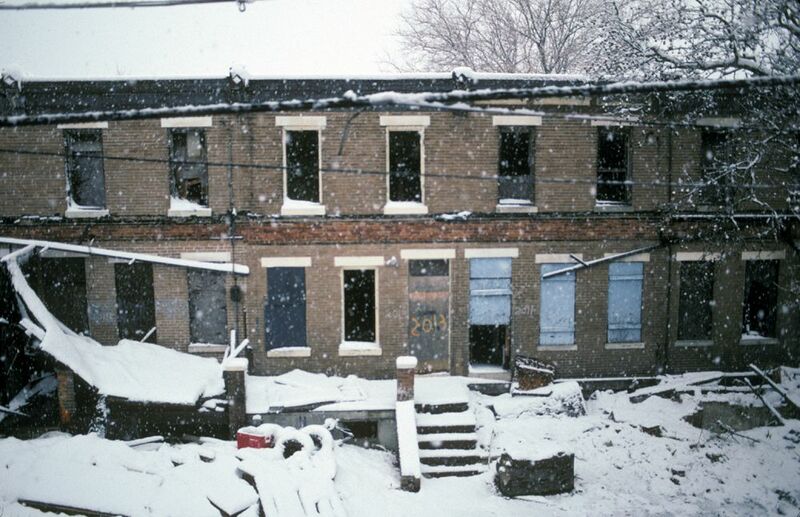 With a population of around 1.5 million, the New Jersey suburbs of Greater Philadelphia shoulder about a quarter of that total. Most of these South Jersey suburbs are post-war enclaves of sprawling single-family residential developments, mixed with low-level commercial and some industrial areas near the Delaware River. For the average tourist, there’s little going on here, unless one happens to enjoy touring post-war sprawl and shopping malls – and we do! – or, for the more daring urban explorer, the city of Camden offers a post-apocalyptic exception to the suburban sprawl, with its disintegrated, densely urban infrastructure crumbling before our eyes. 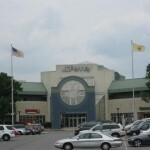 Nestled 25 miles northeast of Center City (downtown) Philadelphia, Burlington Center Mall is one of a handful of regional shopping centers on the New Jersey side of the metropolitan area. 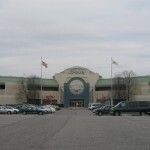 Opened in 1982 by Rouse, Burlington Mall is the newest regional enclosed center in Greater Philadelphia, and was conceived in order to fill a dearth of regional malls that exists between Cherry Hill/Moorestown and the mall north of Trenton. 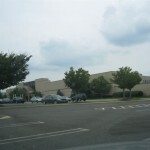 A considerable amount of residential growth in this section of Burlington County, combined with the height of regional enclosed mall development, precipitated the birth of Burlington Mall. 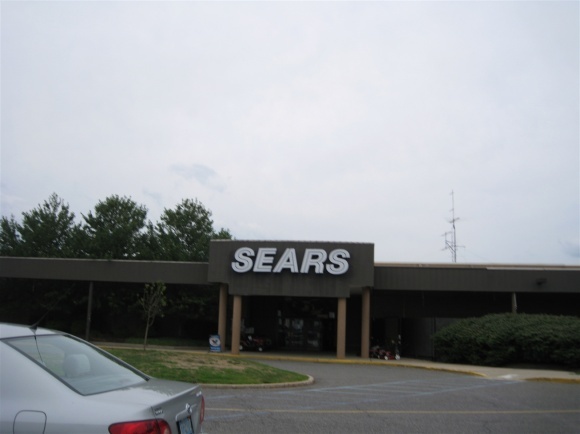 Unfortunately, though, the mall has fallen on hard times as a result of locational disadvantages, competition, and a perception of crime, and is in a significant amount of trouble today. 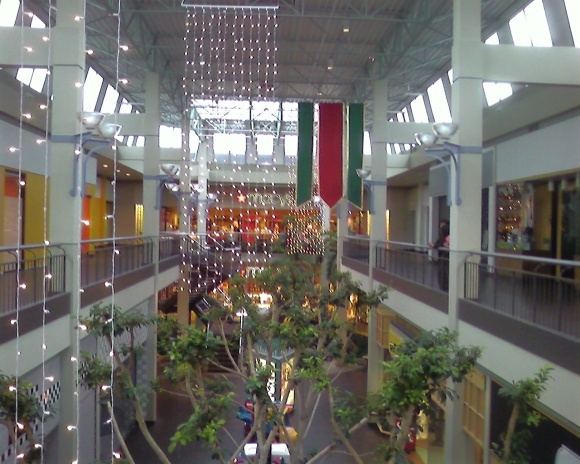 Originally, competition was not an issue for Burlington Mall. 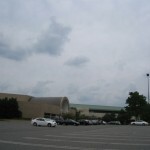 In fact, Burlington Mall’s 1982 debut eventually helped kill several smaller malls in the vicinity. 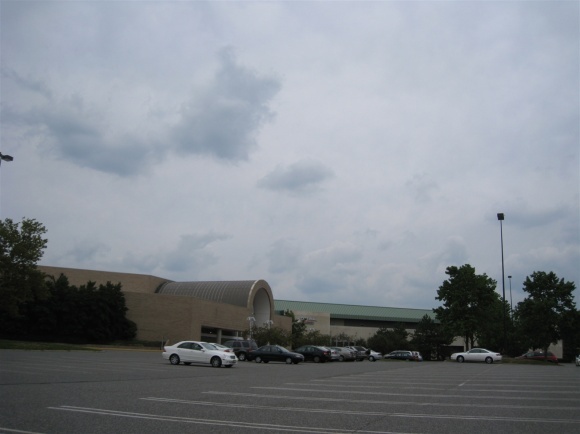 The extant built retail environment in this area prior to the construction of Burlington Mall consisted of several smaller local/neighborhood centers – the enclosed set of Cinnaminson Mall and Willingboro Village Mall, and the outdoor Willingboro Plaza – all of which closed and were significantly redeveloped by the early 2000s. Located along Burlington-Mt. 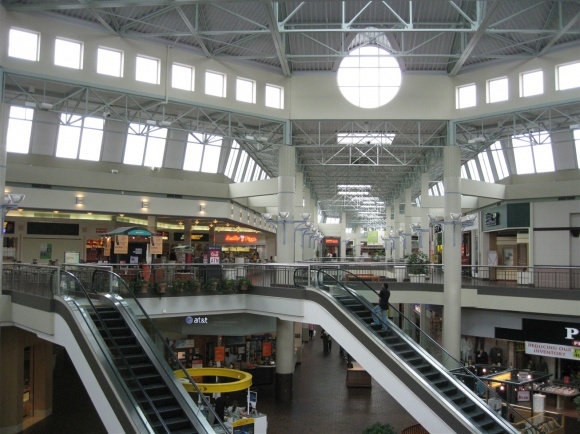 Holly Road on a small strip of land between two major parallel highways – the New Jersey Turnpike and Interstate 295 – the Burlington Center Mall enjoys access to both, and also to a bridge across the Delaware River into populous Bucks County, Pennsylvania. This locational advantage, along with its size and relative newness, put Burlington Mall many steps ahead of the aforementioned smaller malls in the area, which are mostly located along US 130, a semi-controlled access highway with frequent lights. 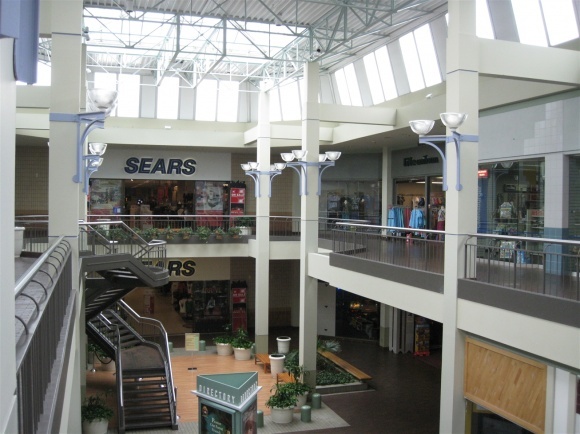 During the rest of the 1980s and into the 1990s, the two-level Burlington Mall enjoyed success, reaping the rewards sowed by a great location and a lack of competition in its core market. 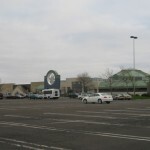 In 1996, the first and only expansion of the mall took place, with the addition of a JCPenney store near the crux of the mall’s two L-shaped hallways. 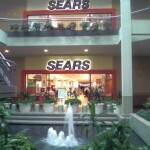 The other two anchors were Sears and Philadelphia-based Strawbridges (changed to Macy’s in 2006), at the far ends of each hallway, respectively. 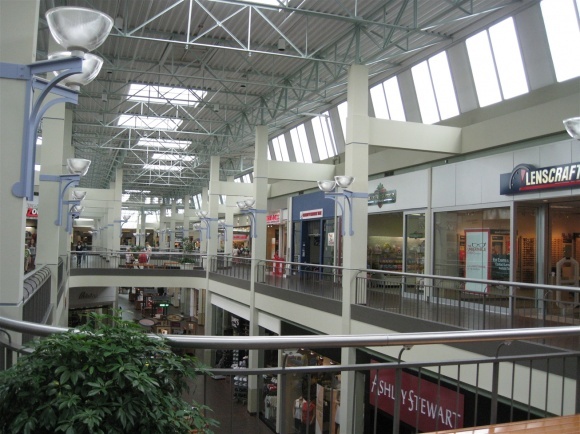 The end of the 1990s and the dawn of the new millennium saw a shift in shopper preferences which would eventually lead to a downward spiral at Burlington Mall, as offerings shifted from a dominance of staid, popular, national brand stores to local mom-and-pops and vacancies. 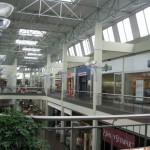 Also, the mall had begun to show its age, and, as of 2010 has not received a significant renovation in its lifetime. 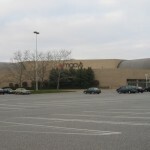 In contrast, nearly all of the other malls in South Jersey have undertaken renovations and expansions of varying degrees, the largest being the complete renovation and addition of Nordstrom at Cherry Hill Mall, the largest mall on the New Jersey side and the second largest mall in the Greater Philadelphia area. 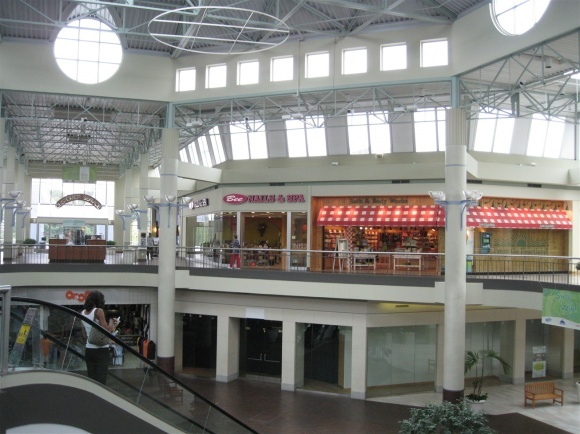 Also, in the mid-2000s, the lifestyle center craze of outdoor malls hit South Jersey, and the large Promenade at Sagemore opened in nearby Marlton, contributing to competition in an already-crowded market. 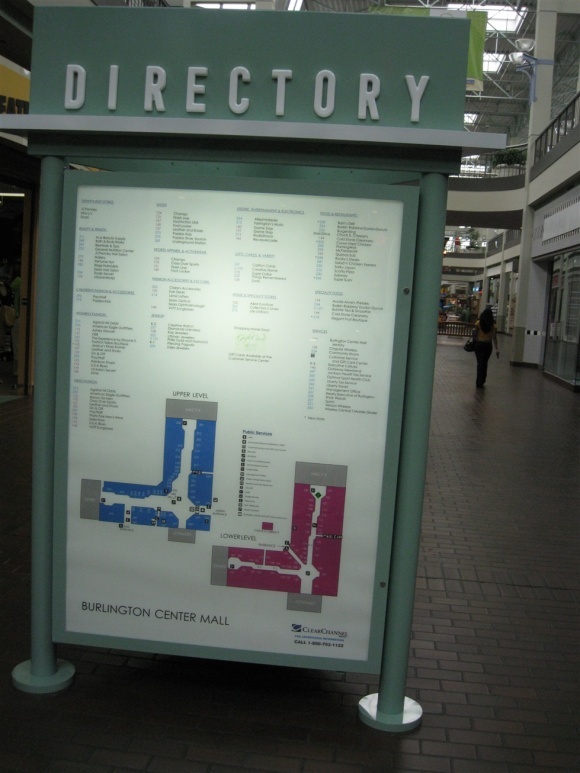 In 2007, Burlington Center Mall received a pall in the form of bad press. On the night of January 13, 2007, a gang fight erupted in the mall, involving over 20 individuals. The mall closed early that night, but that wasn’t as big of a deal as the ongoing bad press the mall received in coming weeks and months, which earned Burlington Mall the reputation of being an unsafe haven for gang-bangers. 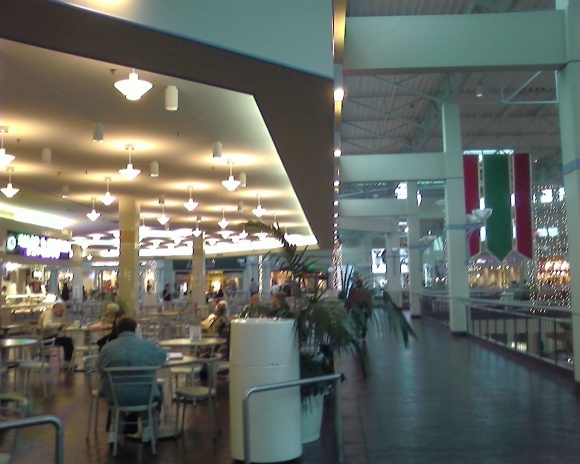 Once a mall is branded as unsafe, a positive feedback loop often begins, regardless of whether or not the reputation is actually earned. 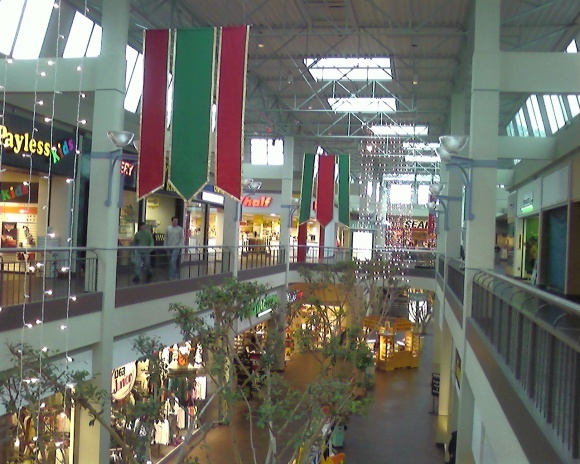 Shoppers begin to avoid the mall, causing stores to close, causing less traffic in the mall overall which, in turn, causes even more stores to close. 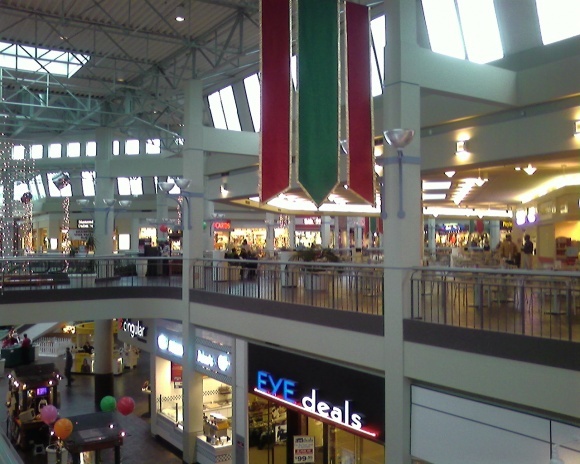 This feedback loop correlates with a downward-spiraling trend of tenancy, eventually leading to a mall’s closure, and can often be traced to a single event or series of events exposed by the media. Unfortunately, this downward spiral is already taking place at Burlington Center Mall. 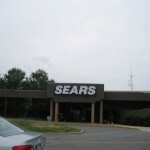 It has also reached critical mass, as evidenced by a recent blow from Macy’s, who announced in January 2010 that they were leaving the mall, citing poor sales. 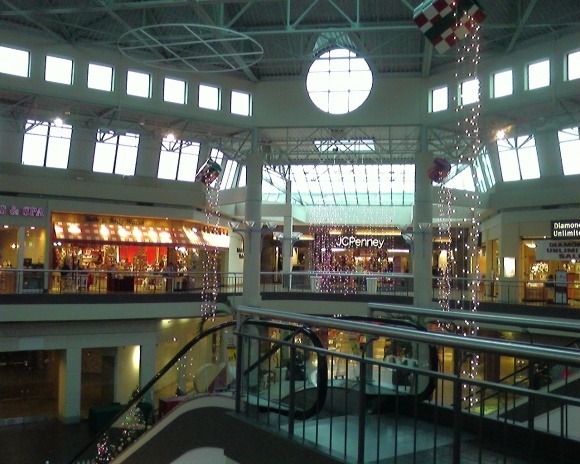 Adding insult to injury, the media exposed the larger troubles at the mall in addition to the Macy’s departure. 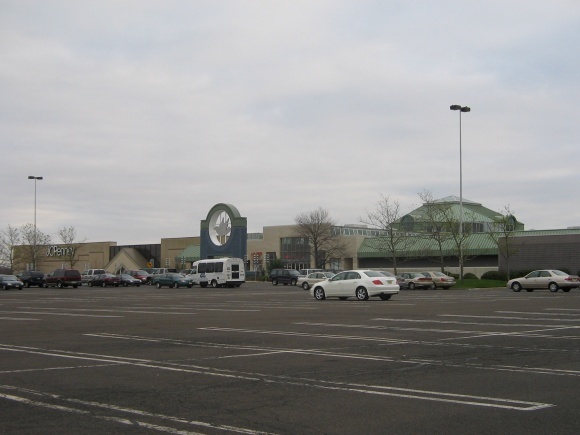 According to an article that ran in the Philadelphia Inquirer and announced the Macy’s departure at the flagging mall, Burlington Center Mall is a “dead mall” full of “junk stores”. 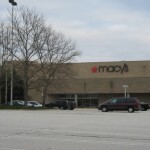 The same article also had a quote from the mall’s marketing manager, Sunshine Lewis, who has a glass-half-full mentality and stated the Macy’s departure will give the mall an opportunity to court another anchor. 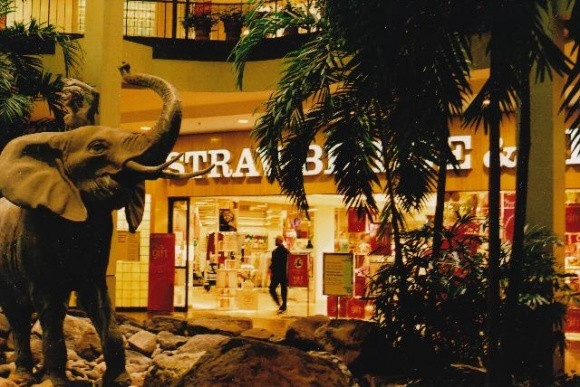 In her defense, the mall isn’t quite dead just yet, and still has a fair amount of national chains like American Eagle Outfitters, Victoria’s Secret, a handful of shoe stores and jewelry stores, and a decent full food court. But it also doesn’t have far to go before it’s dead, either. Burlington Mall’s owner is Jager Management, a relatively small player in the world of the PREITs, Simons, Maceriches, and Westfields. 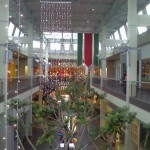 Jager, based in Burlington County, owns two other malls – the very dead Mountaineer Mall in Morgantown, West Virginia, and the Fairgrounds Square Mall, a flagging mall in Reading, Pennsylvania. Because of their relatively small (and underperforming) portfolio, Jager is not well-poised to ward off competition through updates and renovations, which are necessary tools in today’s marketplace, especially in the face of bad press. 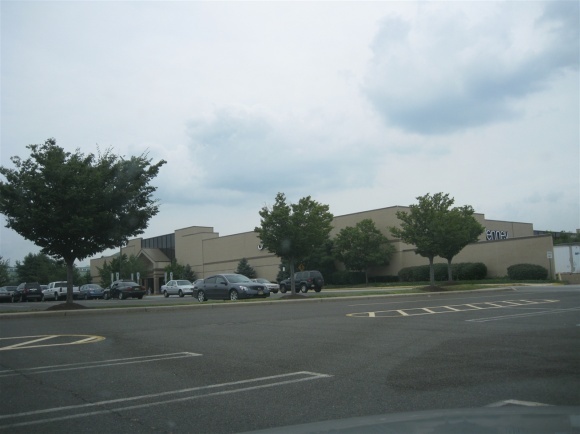 All of the other malls on the New Jersey side of Greater Philadelphia are owned by either Simon, PREIT, or Macerich, all companies that have access to millions of dollars in assets and loans in order to keep their centers current and viable. And they have – every other center in South Jersey providing competition to Burlington Mall has undergone extensive renovations within the past few years. So, when Burlington Mall’s manager stated the departure of Macy’s represents an opportunity, she was right. 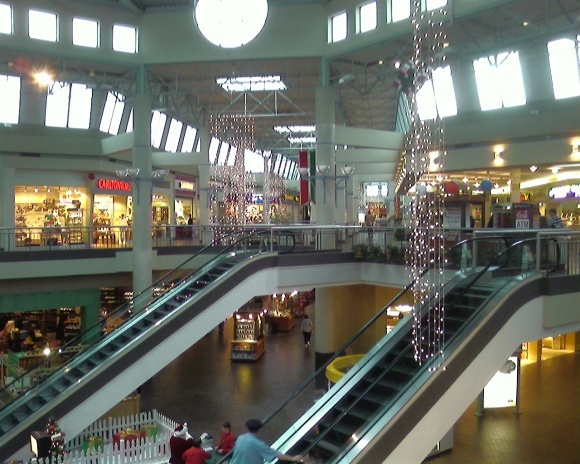 In order to remain viable, the mall needs differentiate itself from its competition. 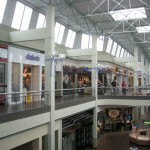 The area around the mall still has an above average household income, and the mall’s location is advantageous, so it’s become clear that laissez-faire management has become the major problem. 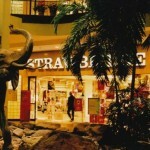 Use the mall’s location, between two well-traveled highways, to locate a destinational store or attraction there. Invent an entertainment district. Put in a discounter or some other non-traditional entity as an anchor. 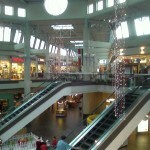 Renovate and modernize the mall. There obviously has to be more of a reason to come here, since locals are bypassing this mall and going to others like Cherry Hill/Moorestown and Sagemore, which are 15 minutes away. 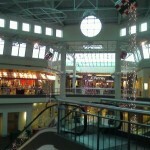 We visited Burlington Mall in Summer 2008 and took the pictures featured here. 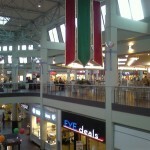 Leave your own suggestions, comments, and experiences about Burlington Mall. 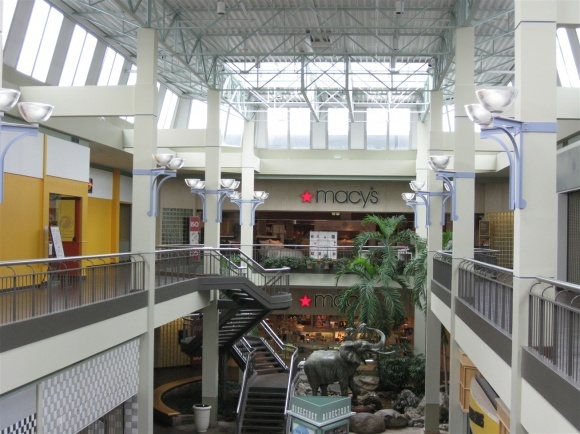 As we have discussed in other parts of the site, the loss of Macy’s is a big hit to Burlington Center. As I said, the building where Macy’s is is pretty unique, but a little dated, and I will be sad to see it go. 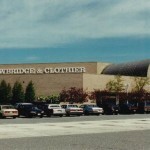 (they still had the Strawbridge and Clothier seal on the exterior of the building). Another note, the mall previously had three fountains and two have been removed. The two that are no longer there are the center court fountain (between and under the escalators) which consisted of a large jet that shot nearly to the roof and smaller jets surrounding it, and a fountain in front of Sears under the stairs (where the wooden area currently is), which was a smaller jet. 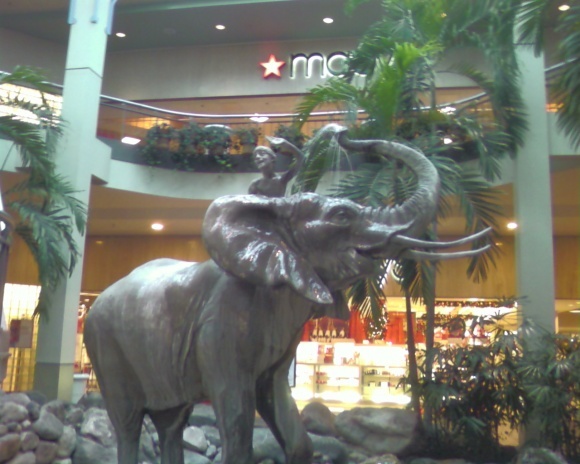 The fountain still standing is the “elephant fountain” in front of Macys which has a small waterfall and water coming out of the elephant’s trunk. I would agree with your assessment that you need a cosmetic renovation, replacement of the lights in the parking lot (it is VERY dark in that parking lot even with the lights) and some sort of entertainment anchor to take over the former Macy’s. The only other fashion anchor this mall has the potential of attracting is a discount chain and I doubt that others along 541 (Target, etc) will move into the mall. 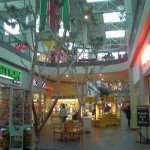 If I were this mall’s PREIT, I would even consider selling a share of ownership of Burlington Center. Lets face it, the location of this mall is excellent and more marketing/advertising of the mall must be done. 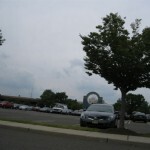 Even though the mall is where it is, one cannot see it from either the Turnpike or 295. 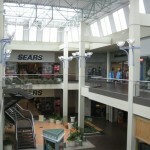 Having recently been to Burlington Center, I am saddened by its current state, but will root for its renaissance. 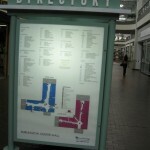 @mallguy, Looking at directions from QBM to BCM, I thaught the two malls were less then 20-miles apart. 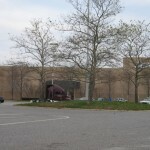 To my surprise this mall is quite aways south of the connector of the NJ & PA Turnpikes. How does this effect other area malls like QBM, Marketfair & Oxford Valley if at all. 295 would be the best way to get in between the two. While I don’t have a trade area map of Burlington Center, I would be surprised if it gets into Mercer Co as Burlington Center doesn’t have a store that Quakerbridge or Marketfair has and I don’t think Mercer Co residents are willing to drive to what’s there. 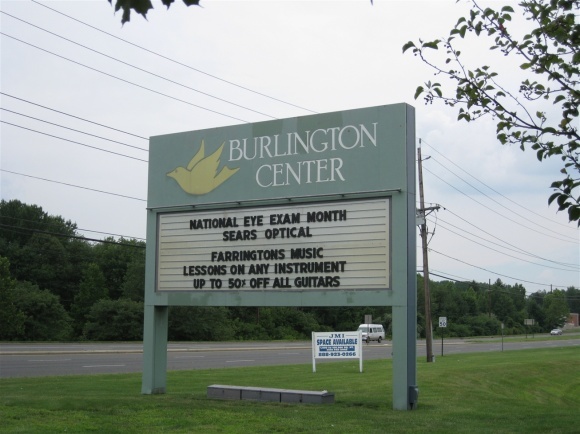 A Quakerbridge expansion, does, however, put another nail in the coffin of Burlington Center. Gang violence at a mall with a prominent dove logo? How sad. The outdoor lights in picture 8 look like the ones at Echelon (Voorhees). 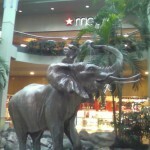 Aside from those, and the elephant fountain, this one is sadly devoid of much character. It’s hard to think what kind of replacement for Macy’s could turn this one around. A discount anchor (Marshalls, etc.) would probably be eager to take the space, but that would hardly do wonders to change the “declining mall” reputation. Perhaps they could split the space into two, with a book store on one floor and an Old Navy or H & M on the other? Or maybe tear down the Macy’s wing entirely, relocating the remaining tenants into the Sears wing, Then redeveloping the old Macy’s wing into the ever-popular “lifestyle center”? The management at Quaker Bridge should take a good look at what’s going on here to prevent this type of decline at QB…the last time I was there a few months ago it was looking fairly rough around the edges with some noticeable vacancies. I think the Quakerbridge expansion is on hold now, sadly. It needs it, for sure. I like the idea of a bookstore, however that space is really big when you think of a Borders or Barnes and Noble. They could do something like a Pavilion @ King of Prussia, keeping the escalator bank (which by the way is darn cool), but dividing the selling floor into additional stores. They just need to attract stores. 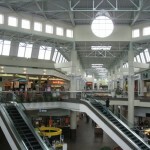 @mallguy, Definitely agree on the great design of the Pavilion. Something like that might work here. As you said, the big problem is attracting stores…how to fill a renovated space when the rest of the mall isn’t near capacity. With Jager seemingly having limited funds, they’re going to have to be creative. While their idea of a community-oriented mall sounds ok, a more destinational attraction would probably be better for the long-term, esp. considering the great highway access. I know Century 21 is often mentioned on the Monmonth Mall thread…what do you think about that? 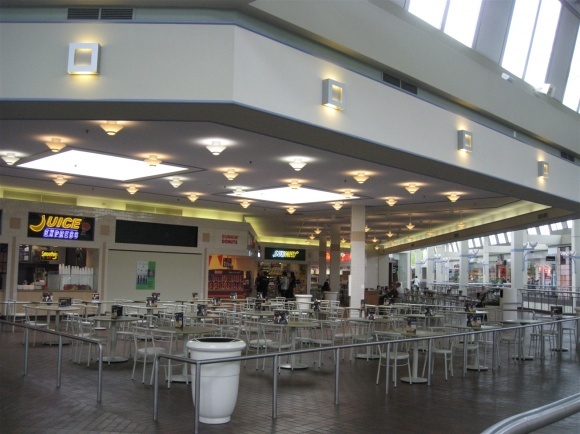 They took a chance up at Bergen Mall, which was largely dead when they opened there (though they were probably shown a convincing redevelopment plan by Vornado). 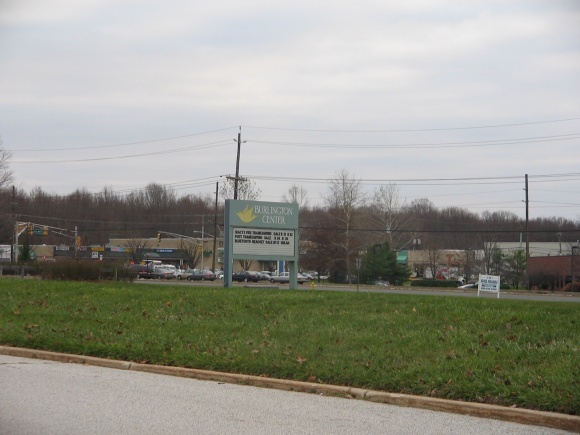 But unlike at Monmouth, this location could potentially attract the wealth over from Bucks County, giving them a foothold in the Philadelphia market. I could see Century 21 working at Burlington Center. 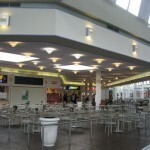 Then, you possibly wouldn’t need to format the space like the Pavilion @ King of Prussia. If they can attract a bookstore to that area or to the mall, that would definitely be a win for Burlington Center. Jager seriously needs to consider selling off a portion of Burlington Center to either Simon, PREIT or another firm. 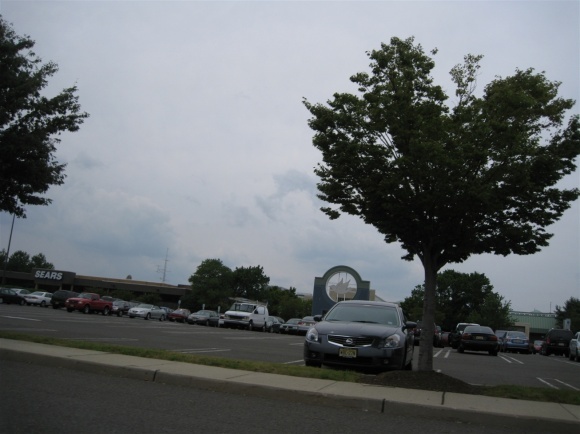 Just one thing on the trade area of Monmouth Mall…there are some very affluent areas near the mall (NJ Shore Two Rivers area, Colts Neck, Middletown, Ocean Twp and Long Branch is in a gerntrification procees and attracting more affluent residents). MM is better off than Burlington Center and they’re in their perdicament mainly because of an apathetic owner in the case of Vorando. Burlington Center is an example of what will happen when a REIT doesn’t do what it needs to do to keep its mall competitive and relevant. @mallguy, What about IKEA. 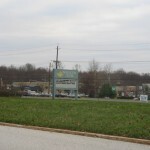 The nearest store is at Plimmouth Meeting Mall 35-miles away. That would be very interesting, especially due to the highway access. Don’t know if they’d be willing to locate in the area though, but they did locate in Elizabeth and put in on the map in terms of shopping, so nothing would surprise me at all! @mallguy, I saw this article about Xanadu today. Cabela’s, a cornerstone partner of the Meadowlands Xanadu project since 2004, is unlikely to ever open a store at the site, the company’s chief executive told potential investors at an event in California on Wednesday night. The comments by Tommy Millner at the ICR Xchange — a two-day event at which dozens of businesses tout their assets to institutional portfolio managers, investment bankers and private equity leaders — raise serious questions about the viability of the struggling, $2 billion shopping and retail project. Colony Capital, Xanadu’s developer, dismissed Millner’s comments. 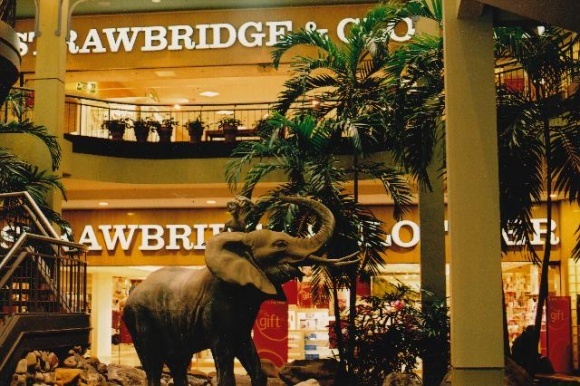 “We have a signed commitment from Cabela’s and have every reason to believe that they will honor that agreement,” said Peter Fair, chief operating officer for Meadowlands Xanadu. Cabela’s, which Millner called “the world’s foremost outfitter of hunting, fishing and camping gear,” with annual revenues of more than $2.6 billion — had once touted the Xanadu location for the potential of becoming the foremost store in its chain, building at least 150,000 square feet of space to sell its goods in the nation’s largest market. But during a 15-minute pitch to investors Wednesday, Millner never mentioned Xanadu. His comments came in response to the first question from the audience. The news about Cabela’s comes just days before the inauguration of Republican Chris Christie as governor. Christie is a critic of the project who said during the election campaign that he was skeptical that the project could ever find the additional $500 million in funding it needs to open. Governor Corzine and New Jersey Sports and Exposition Authority officials have expressed optimism that the money was just around the corner, but that hasn’t happened so far. A spokesman for the sports authority did not offer a comment on Millner’s remarks Thursday. 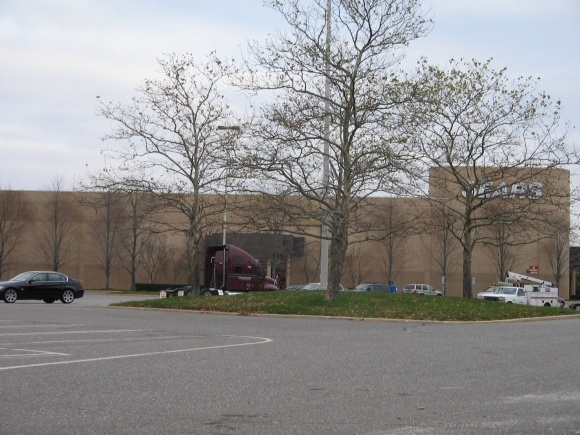 A segment of the Xanadu exterior matches the Cabela’s signature green coloring, and the company has been a key public piece of the Xanadu landscape since its intention to occupy a store there since October 2004. The project touted a minor-league baseball park as a major option for years, but would-be Bergen Cliff Hawks owner Steve Kalafer pronounced that idea dead a year ago. Other proposed attractions — aside from up to 1 million square feet of retail space — included a 2,000-seat concert hall, a LegoLand Discovery Centre, a MagiQuest wand game for children, and a Lucky Strike martini bar and upscale bowling center. The proposal was approved by the sports authority board in February 2003, but lawsuits by project opponents and the financial struggles of Mills Corp. led to years of delays. Colony Capital took over the project from Mills in late 2006, but the faltering economy contributed to a slowdown of the project construction in March. The multicolored exterior is nearly done, but the interior needs an extensive amount of work to make it ready for 200 or more retail tenants, as well as at least a dozen entertainment attractions. Construction at the Xanadu project. The comments by Tommy Millner at the ICR Xchange — a two-day event at which dozens of businesses tout their assets to institutional portfolio managers, investment bankers and private equity leaders — raise serious questions about the viability of the struggling, $2 billion shopping and retail project. From one struggling mall to one that cant get it self started. @mallguy, there is an IKEA warehouse (?) of some sort in Willingboro/Westhampton, just off of exit 45 of 295. @mallguy, fyi The ikea north east distribution center that supplies those stores mentioned, is located in Westampton NJ, approx. 4 minutes from Burlington Center. I’m sure they are fully aware of that location there is probably a good reason they haven’t invested in that crap hole. I was oddly expecting this to be your next post since this mall got hit with the Macy’s/Strawbridge’s closure. 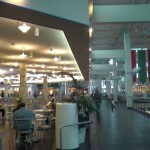 I looked on your site when I heard that, and was surprised to see this mall not listed, so I looked on street view to see what I could find. What struck me is that there is very little development around the mall. It looks quite frankly like the mall is surrounded by farms. 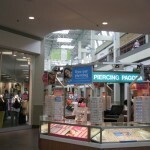 The only other mall I know of like that is Jamestown Mall in St Louis area, and you know where that one is going. Also, I was a bit disappointed you didn’t get some shots of that fountain. I would have liked to have seen that better. @JT, Most of the development around Burlington Center is due east of the mall on 541 on the way to the Turnpike. And as I said above, even though it is at a good location, you could blow right past it on the Turnpike or 295…there is a sign that says “shopping center” off 295 though. And with Quakerbridge, if you go just off route 1 along Quakerbridge Road or Providence Line Road, you will encounter farms and undeveloped areas. @JT, The old center court fountain was pretty spectacular and it’s a shame I don’t have an old pic of it or can’t find one on the Internet anymore. wait, woah….yer blaming “laissez-faire” principles on the management being bad, being the downfall of the mall? Poor management may’ve gotten them here, but don’t blame free-market ideals for that; it was just poor management. If it wasn’t for the free-market, you wouldn’t have half the malls on this site that you do…especially not the open ones. @Russ, Free Market? What are you talking about! As we read more & more the term free market is revealing to be a myth on one level or another. As I type Brett Farve just through a 47-yard strike to sydney Rice for a touchdown! @Russ, Laissez faire management and laissez fair government economic policy are two entirely different things, so the shot isn’t intended at the free market, but at sloppy business practice. Pay attention next time. Let’s be fair to Russ here. If he paid attention, he’d never force everything to be a platform for his knee-jerk political commentary. You KNOW that’s why everything exists – so people can make it political! Can’t have a facet of life that isn’t nowadays. Jager seems to have always had trouble with their malls. 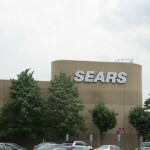 Until last year, they owned the flagging Northland Center in Southfield, which was finally sold to Jones Lang LaSalle. JLL usually does decent work with their malls, so I’m curious to see what will happen to Northland. 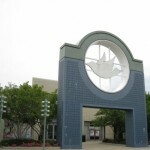 The same Dove logo has been used on St. Louis’ West County Center for many years, and its White Dove sign is a landmark on I-270. I would guess that both malls shared the same original developer. Are there any other malls that share the same white dove logo? Out of my own curiousities, I looked it up and West County Center was a Westfield Mall while Burlington Center was a Rouse Mall. The dove is slightly different between the two, but I did read in the Wikipedia article that the initial removal of the dove @ WCC caused some upheval in the community before they put in back. @mallguy, Westfield did not build West County Center. 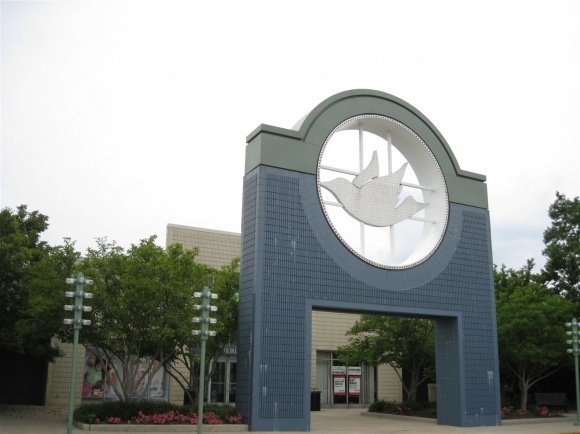 Lakehurst Mall, before anyone brings it up, was Rouse but had a very different dove…I think it’s actually a seagull. 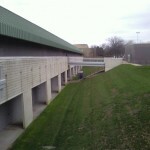 @Pseudo3D, Westfield dumped all their St. Louis malls. The good ones like West Co. were bought by CBL. Ironic to think nearby Belvidere Mall realized this in time before it declined further, and reinvented themselves(now Belvidere Discount Mall, IIRC) to cater to the Hispanic community. Despite that Lakehurst hurt Belvidere for years, it’s ironic to think Belvidere is the last one standing in Waukegan today! 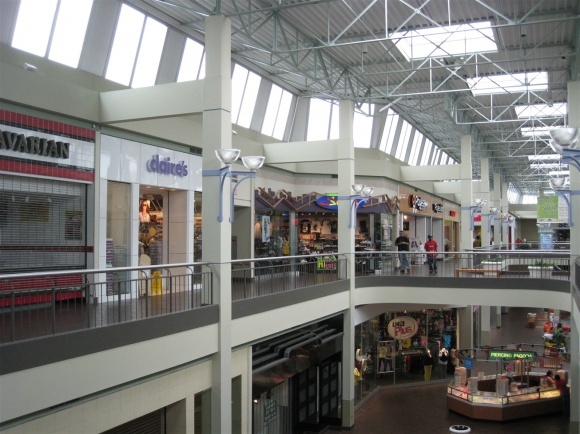 I can’t wait to start my new mall and retail blog for the Midwest(but will only be Chicago area topics and malls to start), writing up on the history of Belvidere Mall will be a lot of fun. I’ve been waiting for this one. It’s still very 80s-ish in a way, but the warmer touches have been removed. The center court in particular is oddly barren now without the fountain. Still, there’s an old-school Bath & Body Works awning and the elephant fountain is still there, so it’s not totally devoid of warmth. It does need a lot of work, but Burlington Center could probably be salvaged – like a few other people said, split the Macy’s into different anchors at different stories, improve the lot, and actually remind people who aren’t residents of BurlCo that it exists. But I think it’d have to be taken from Jager for that to happen. They try to do the occassional senior-citizen-bait community day (usually something like a shred-a-thon), but as you can see with Echelon, it might bring people in the mall but it definitely doesn’t mean they’ll spend anything. It’ll take some doing, but it could be fixed. SEAN – the more I hear about Xanadu, I don’t know whether to be sad or to laugh. How well would a shop that sells hunting equipment – including various types of guns – go over in an NJ “lifestyle center”, really? Whose bright idea was that? @Mela, I was wondering that too. New York has the most restrictive gun laws in the nation & somebody has the bright idea of opening a glorified gun shop across the Hudson? Mayor Bloomburg has been spending a lot of time trying to stop gun running from Virginia to the big apple, & now this? @Mela, Funny you say that about Xanadu…who knows if they’ll ever open, lol. And I tell you, that is ONE UGLY BUILDING! Despite the situation, all the Bergen Co malls have prepped/will prep for it with expansions and renovations of their own. Some communities in western NJ in the area north and west of the 78/287 intersection are good areas for hunting. 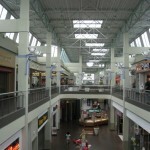 I agree that Burlington Center can be saved, but it won’t happen as long as Jager runs that mall. Strange that the Macy’s wing is mostly dead, there’s one dead patch in the Sears wing… yet the food court is completely full. I’m also amazed that a mall in this condition somehow has both Subway and Quiznos. Thanks for the addiitonal pics! I had forgotten what the fountain in front of Sears looked like…it’s too bad the center court fountain was gone (assuming) at the time of your visit. If a controlling stake in Burlington Center was sold off to Macerich, I am sure we would see a Renaissance of this mall. This makes me sad, in a way. I am from the area and worked at the mall in high school back in the early ’00s. The weird thing is, as Burlington has grown up (it has grown over 70% in population since 1990), mall traffic has paradoxically declined. I think perhaps this reflects the fact that much of the new development in town has been more upper middle class single family homes and townhomes by Calton and Hovnanian. In other words, the SUV crowd that would rather drive the few extra minutes to get to Moorestown/Cherry Hill (also having benefitted tremendously from the East Gate power center built in the ’90s) or to Quakerbridge for Lord & Taylor or Macy’s (back in the days when Macy’s in Burlington was Strawbridge & Clothier) rather than take advantage of the convenience of a perfectly decent but not especially fashionable mall nearby. Indeed, Burlington used to have some good national stores (as mentioned previously, Gap was there for many years, there also used to be a Limited, Strawbridge & Clothier was actually a solidly upper middle tier department store, a Motherhood Maternity, a Kay-Bee Toys, a Lecter’s Housewares, a Casual Corner, a Friendly’s restaurant that has since moved up 541 to its own building, an Ireland Coffee bar, and a Haagen-Dazs–my personal favorite as a kid), but unfortunately the mall seemed to peak in the 90s. It always seemed that they were planning something good (they used to have pretty pastel brochures that said, “Look what’s growing in your backyard!”), but it was always in fits and starts, and with the exception of the addition, was never substantial. On the other hand, Sam Goody and Suncoast, national casualties, of course bolted, leaving some pretty prominent vacancies in a small mall. 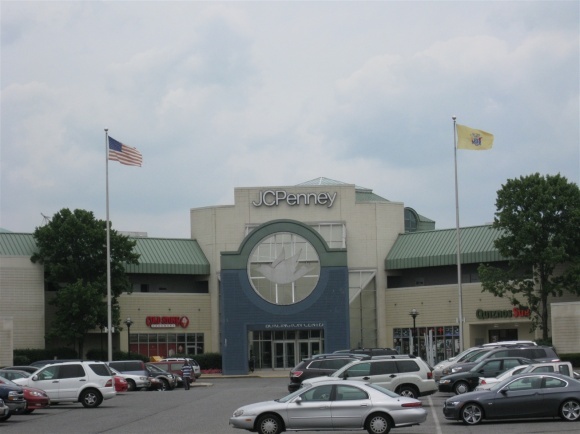 JCPenney opened, but it never seemed busy enough to recoup the investment. 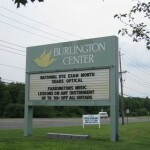 They changed the name from Burlington Center to Burlington Center Mall (exactly why, I’m not sure). And then there was the safety issue. Even when I was there, my parents were concerned about my walking in the parking lot alone at night, and I personally knew somebody who was mugged walking back to her car (albeit by the upstairs exit from Strawbridge’s, the part of the lot most remote from the main mall…but nonetheless!). Again, I think it’s kind of odd considering the housing even immediately around the mall is upper middle class. Also, I must say, I always got the feeling that the security guards would be complicit in any kind of theft that went on as well. In terms of the physical structure, I actually think that the mall, for the most part, has aged well for the very reason that it was not built like the malls of the ’70s. That is, no carpeting indoors, no wood paneling, no low ceilings. It was, in a way, ahead of its time, incorporating high ceilings and neutral tones. Yet, at the same time, there were elements to give it character–as mentioned, the wonderful elephant fountain (actually it brought a tear to my eyes to see it run dry in the photo above) and seemingly the only particularly ’80s element of the main part of the mall, the dove. 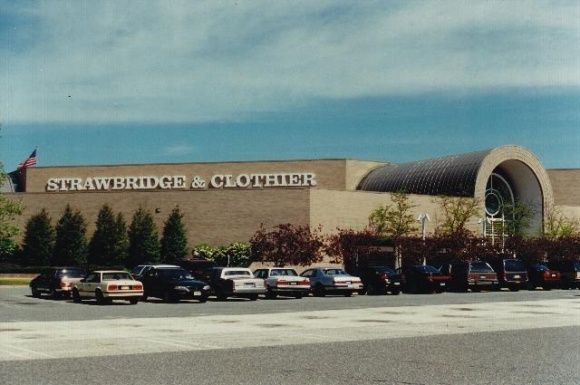 What was /very/ 80s was the Strawbridge & Clothier store, which as far as I can remember, even still as Macy’s has a mauve and brown color scheme accented with smoked glass and wood panels. It was always rather dim in there (especially the bathrooms, which had only black tile on top of poor lighting! ), and seemed to be an artifact to me even when I was little. Like the old Strawbridge & Clothier in Cherry Hill (and, I’m guessing, the rest?) there was also a restaurant on the second floor, but it closed in the early ’90s and then the old entrance to it was blocked by some displays in the rugs and furniture section. 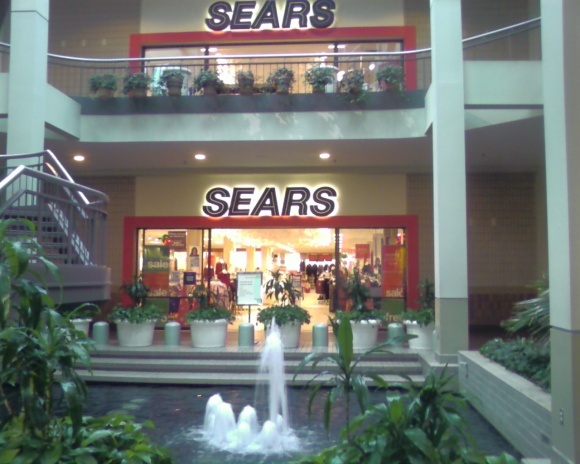 Oddly, for some reason, Sears is not nearly as much of a time capsule. But, anyway, I’m going on too long. It does sadden me to see a place that I have spent a lot of time fall into such disrepute and neglect. Why is it that even though the place operates merely for profit that I still feel close to it? Just to note, when I was there last fall, the Elephant fountain was on, however, they had (I assume) long gotten rid of the other two fountains. I, too, worked there in the early 00’s, although the store I worked for closed several years ago (surprise, surprise!). My parents are still local to the property, but even my father, who knows little to nothing about malls, refuses to go into the place. My parents, too, also didn’t like me leaving the mall at night, and looking back, I can’t blame them. I think one major problem for any redevelopment idea is the clientele that frequents the mall. It’s very Burlington City. I’m sorry but I can’t see Barnes & Noble or Best Buy interested in this area at all. I’m not even sure how well the JCPenney will do in the mall without Macys. JCPenney could easily eye land in Mt. Laurel or Evesham and decide to move their Burlington County presence elsewhere. I think for the time being, there is no suitable land in Mt. Laurel for that though – I know Wal-Mart has been wanting to open in Mt. Laurel as well. This is one of the most depressing malls in the Philadelphia region, not even capable of accodomating many well recongized stores. I visited the mall after reading this article two weeks ago. I went on a Saturday night, and it was so dead. It was one of those weirdest mall experiences I ever had. 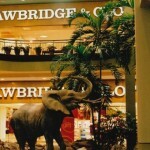 I enjoyed the Macy’s building, especially seeing the Strawbridge’s seals on them. I will be sad that those might go away. 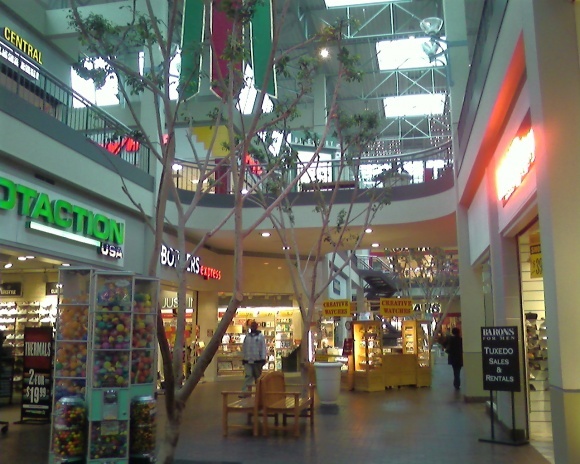 There were only about 3 other real stores in the mall- an American Eagle, a Bath and Body Works, and a JCPenney. I also saw a Carlton Cards, and you almost never see them anymore- just American Greetings. The food court even had a retro Burger King! It was a very sad sad place. I don’t know what can happen to this mall. South Jersey has so many shopping opportunities. 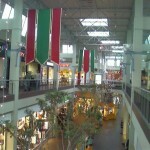 This mall is on a major road near some other major stores. I think it’s just so strange that it could fail like this. I’d say raze the entire thing and build a new center, an outdoor one, perhaps with Wal-Mart SuperCenter. The existing Wal-Mart building not too far away, could be used for a JCPenney, and Sears can move to the old Kmart building that recently closed. Foot locker, Victoria Secret, American Eagle and whoever else is interested can move to a outdoor lifestyle component whether its part of a redeveloped site (where the mall once was) or somewhere closeby. I’m not sorry Macy’s is closing because cheap frabrics and poor clothing styles were being sold which is not the case for the Macy’s at the morrestown/cherry Hills Malls. This is a total disrespect to the Burlington customers. The cheap products conveyed a message that the burlington residents are not financially equipped to purchase high quality frabrics/products. For example, this Macy’s did not Cary Mac products or certain expensive parfumes like “Boucheron” I believe these are some of the reasons Macy’s in Burlington Center went down. How about turning this into an outlet store mall just like the ones in California? It’ll need a face lift for sure, and then they’ve got to beef up the security if that’s a major concern. I’ve known people to drive 4 hours or more just to get to the outlet stores, and there aren’t enough of them in the East Coast. There are outlets in Jackson, NJ, near Six Flags. I think it’s not too far of a drive from northern Burlington County. Unrelated to the mall exactly, but one chain that might do well in that area, not already there, is Aldi. Maybe Aldi could consider the former Kmart space not too far away. Aldi opened up somewhat recently in Mt.Laurel off Route 38, and the chain is expanding. Most of the big box and apparel chains however I figure would prefer Mt.Laurel, Moorestown, or Cherry Hill. @Josh there is an Aldi not far away from Burlington Center and the former Kmart. If you take Route 541 to 130 south it’s up the road about 2 miles on the right (next to Wawa). I recently relocated to the Burlington area from NYC and find this “mall” extremely questionable– In the 3 years I have been in this “mall”, each time without fail I wonder why it’s still in business. With the exception of Sears, American Eagle, Bath and Body Works, JC Penny, Victoria’s Secret, and Cold Stone, this “mall” serves no purpose and definitely does not meet the needs of consumers in the area– The remainder of the stores are subpar, including the restaurants at the food court– On a Saturday afternoon (or any other day of the week), this “mall” is near empty– It is only a matter of time before this place joins Macys in closing down. Are the owners paying attention here? Have they walked through this place in the last 3 years? They probably don’t patronize this mall either– Lots of great opportunity and potential but clearly some strong sales strategies need to be underway– With all the teen, tweens, and young adults in the area, there should be a heap of popular stores here, including department store such as Macys or Nordstrom– and definitely a major renovation. Until a major revamp occurs at the Burlington Center, I will continue to make my way to other retail centers that are making a real effort to meet consumer needs. A renovation does need to take place and it is still sad that Macy’s decided to close that location. 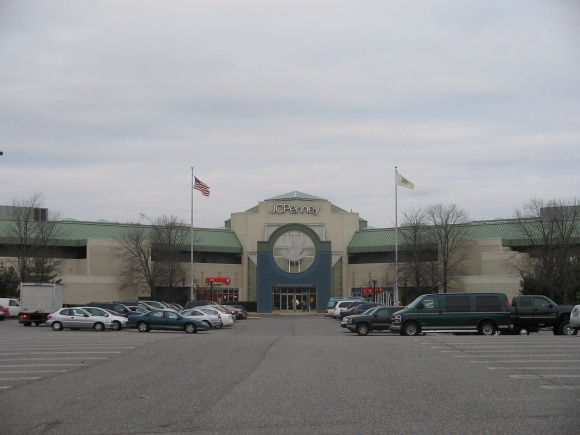 (it was a great building) In this economic climate, keeping the mall as current as possible is necessary and that is one of the reasions we don’t see too many dead malls in New Jersey. 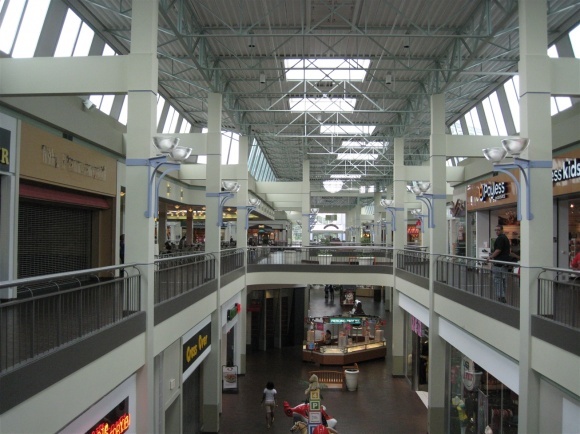 For now, it looks like Cherry Hill Mall is the place to be in the South Jersey region. It’s a sad place. More so since these posts. American Eagle has left and Carlton Cards. I have worked in the mall for eight years in one of the two actors. I love my store and the few customers that are faithful to us. With gas prices climbing now is the time to bring in better stores and food. Also a must needed modern look. With gas the way it is,I don’t see people wanting to take the extra drive to cherry hill. Get them now.I do want the best for who has been left behind here. Heck I have a great eye and could help!! I know what our area people want,I hear it daily. Help the little men! Being us in burlington. @Caldor, it really sounds “INSIDER” is pulling things out of nowhere. I live around the corner and haven’t heard anything about renovation. Very unlikely. When it comes to possible locations that Macy’s could have closed, I’m really surprised that Burlington Town Center was chosen over Ledgewood Mall, Preakness Shopping Center, and Nanuet Mall. IMO, these three Macy’s locations are complete deadweight for that chain (and the fact that Macy’s owns its Nanuet building is a very flimsy reason for keeping that store open). 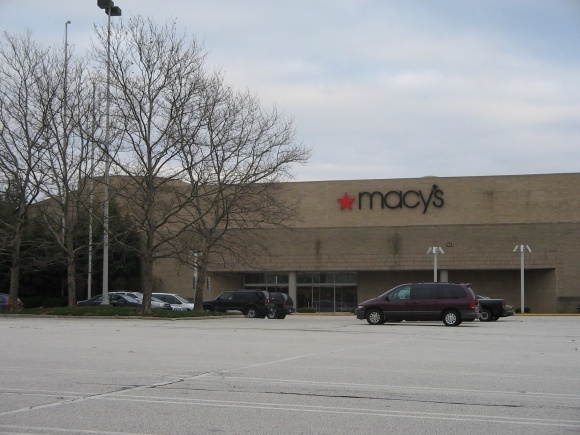 And although I am unfamilar with the Macy’s stores at Middlesex Mall and Essex Green Shopping Center, I suspect that those two locations are deadweight as well. 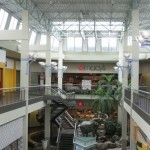 @Max, you are the first person I’ve heard say they are surprised the Burlington Center Macy’s closed. I’m not familiar with the other stores you mention but it’s hard to imagine a store less prosperous than the Burlington Center Macy’s. I’m not surprised that the Burlington Center Macy’s closed (and I apologize for the confusion in my original comments that led you to believe otherwise). Rather, what surprises me is that those other locations (that I mentioned) weren’t shuttered before the Burlington store. 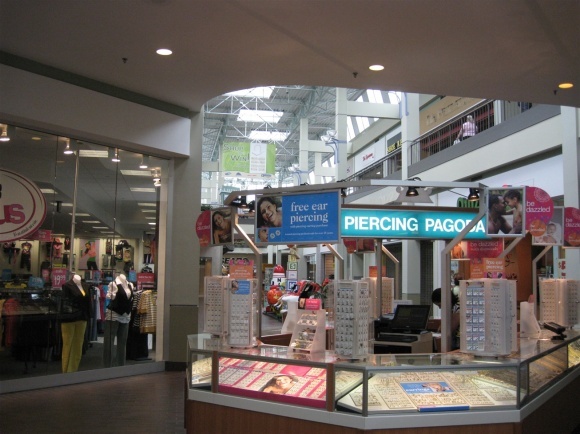 Trust me, the Ledgewood and Nanuet malls are even “deader” than Burlington Center, while Macy’s location at Preakness Shopping Center is a very small store that is much to close to Willowbrook Mall. @Max, Burlington Center is in bad shape now, and I am sad to see that Macy’s go, as a result of its unique design, but am not surprised. 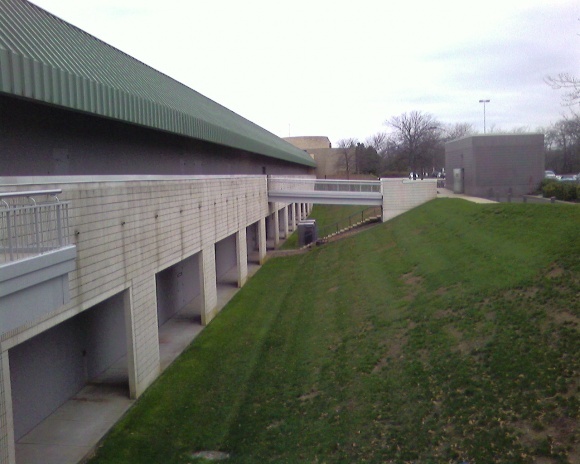 The Middlesex Mall, Essex Green and Ledgewood Mall locations were old Sterns, all for the most part, one level. Essex Green used to be an outdoor/indoor mall and is now fully outdoor. 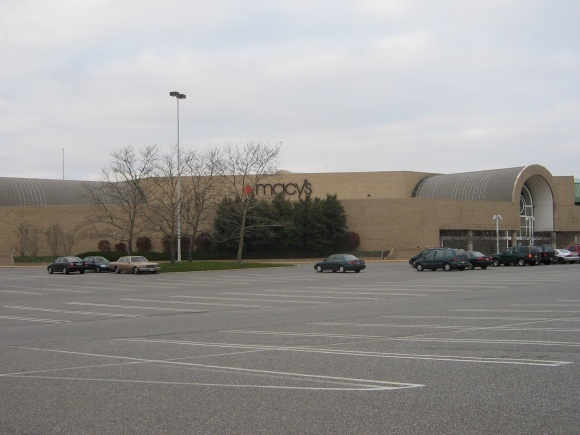 It is located on Prospect Avenue, just off exit 8 of I-280 in a pretty busy area of Essex Co. That Macy’s is very, very tiny, especially the bottom level. Interesting note, the only escalator in the store heads in the up direction and to get downstairs, one must walk down stairs. Mt.Holly Rd is actually good from a highway perspective for office, retail and space for assisted living, luxury apartments or condos, or even a new hospital. Close to NJ Turnpike, I-295 making easy access for South Jersey along with nearby access of Burlington Bristol bridge providing access from people in Bucks County, PA.
With the tolls on the DRPA bridges now $5, the Burlington Bristol at $2 is bargain. 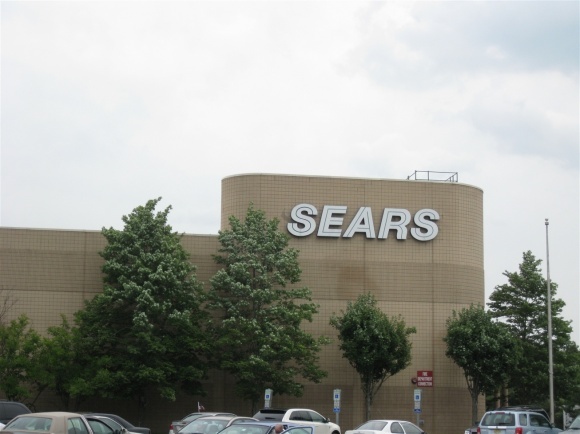 Hopefully, the location of Burlington Center Mall and the vacant Kmart site will get new life – perhaps by being razed and something totally different going in there. Was just there this weekend. The elephant fountain is still there (with cobweb’s on the kid’s head), the old school Bah and Body Works is still there. 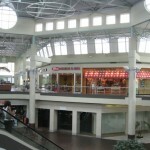 The food court now houses a Japanese place, a Chinese place, and a wing place. There were at least three vocational schools in the mall, one dance academy, a barber shop (that was very busy! There was a line out the door) and a gym. Lots of mom and pop stores and a few chains, mostly cell phone stores. We went on a Saturday afternoon and there were people there, but it was not crowded. The food court area was very dark. There were water stains on the ceiling…it was very depressing!